Content marketing is on the rise. The trend is supported by content marketing budgets growing and in-house content teams expanding. You may also notice the increasing trend with the flood of new content creation companies and the number of events dedicated to content strategy. Do you have a refined content marketing plan for 2013, or are you like the majority, finding it difficult to stay ahead of the curve? With so many content formats to choose from planning can sometimes be an overwhelming task. 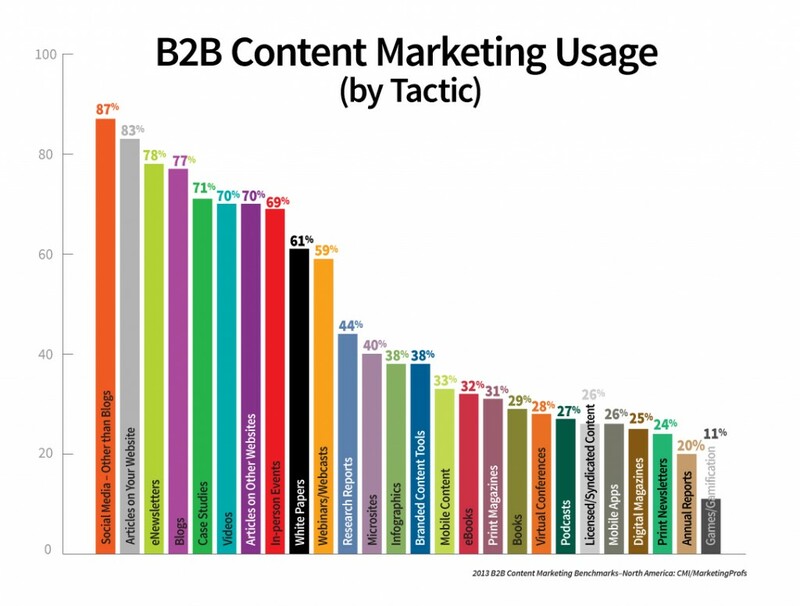 This year there has been a significant increase in the number of tactics B2B content marketers are using, according to the B2B Content Marketing: 2013 Benchmarks, Budgets, and Trends study from Content Marketing Institute. The average is up to 12 tactics from 8 in a just a year. While content creation and curation can be a significant challenge, it can be far more difficult to promote your newly created content and get your target customers to look at it. There are many things to consider so here are a few things to get you started. Where are my customers? – You know your customer better than anyone, and should be able to read their digital body language. Are they highly responsive via email? Do they never respond to your emails but engage with your company via social media channels? Does your target market prefer a direct phone call? These are all very important things to know in order to map out your strategy. What devices do they use? – The growth in usage and number of mobile devices has grown tremendously over the last 5 years. This is something you need to think about when designing your content and deciding what channels to use. Is my content appropriate for mobile? 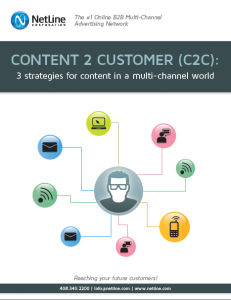 Do I need to create different formats of my content matched to channel requirements? Do I have compelling content? – Does your content scream OPEN ME!?! Infographics are a very popular content form because they are easy to read and fun to look at. Sometimes an infographic is not the appropriate form for the information you’re trying to convey. Therefore, a title is considered the most important aspect of your content. The best performing content (in terms of pure lead volume) that I have experienced are lists (I.e. Top 10 X, Three strategies for X). Think about your customers pain points when developing your titles. The importance of having a content channel strategy is clear. A forester Consulting report titled The Multichannel Maturity Mandate, states that 95% of marketers have seen ROI improvement as a result of multichannel tactics and 77% will drive more sales and profit by evolving into an effective multichannel marketing company. 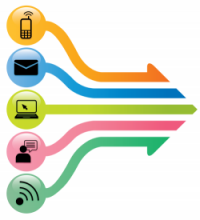 NetLine clients have received the benefit [knowingly and unknowingly], of a multi-channel marketing strategy. A unique strategy is created for every campaign, in which content may appear across channels such as publisher sites, expert blogs, mobile, social media, RSS, email & many more. The goal is to help our clients effectively reach their target consumer whenever and wherever they are. Posted by Tony Sala on January 8, 2012 .